Police in New Hampshire are asking for the public's help in identifying the man who assaulted a woman outside a gym in Rochester. A New Hampshire man has been arrested in connection with a brutal attack of a young woman outside a Planet Fitness gym. Twenty-two-year-old Jordan Lamonde of Portsmouth was charged with second degree assault Monday afternoon after Rochester police officers responded to Portsmouth Regional Hospital. 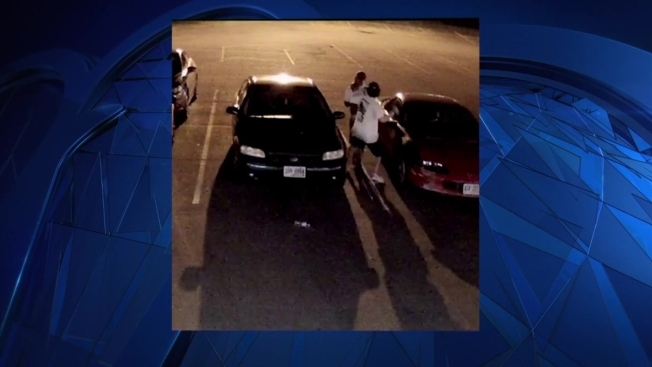 Police have been investigating the assault since June 12, when gym employee Erin McCarthy, 18, reported she was walking to her car when she was attacked from behind. Surveillance footage of the attack showed McCarthy was punched nearly 40 times, thrown to the ground and then kneed in the head before the suspect, later identified as Lamonde by police, got into his car and drove off. McCarthy said she had no idea who her attacker was. "He didn't say a single word at all," she said. "He was silent through the whole thing." Lamonde has been ordered on $150,000 cash bail. He's due in court on Tuesday.